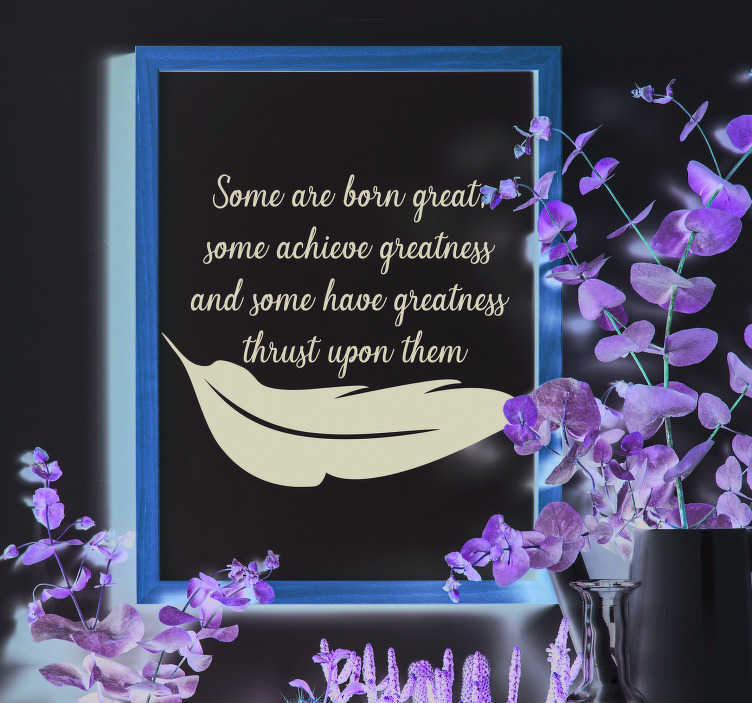 ´Some are born great, some achieve greatness and some have greatness thrust upon them´. What a true and salient quote sticker this is from the master of salient quotes - William Shakespeare. From his masterpiece, ´Twelfth Night´, this quote perfectly depicts what it truly means to be great! Ideal Shakespeare themed decor for those who wish to pay tribute to the great man in style, while also motivating themselves in the grand manner!